Glorious Yuletide favorites! 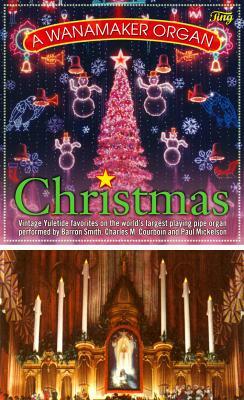 Barron Smith pulls out all the stops for beloved Christmas carols—and a Ferde Grofé Christmas Suite—in this exciting release of a rare high-fidelity vintage recording. All the lush, rich sonority of the Wanamaker Organ in its full splendor, with generous and imaginative use of special registrations, chimes and percussions. This must-have collector's item truly captures the Grand Court holiday spirit that has enthralled generations. Adeste Fideles; Good King Wenceslaus; It Came upon a Midnight Clear; O Holy Night; We Three Kings of Orient Are; O Little Town of Bethlehem; The First Noel; Silent Night; Joy to the World! ; Deck the Halls; O Tannenbaum; March of the Three Kings; Greensleeves; God Rest Ye Merry, Gentlemen; Oh, Come; Little Children.